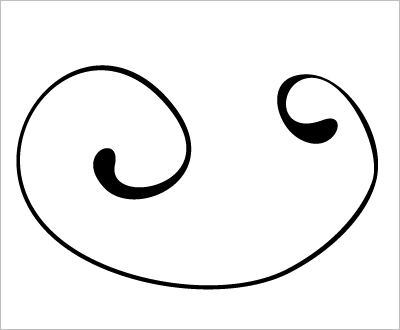 I received several inquiries on how to draw a swirls illustration. Swirls illustration does not require extensive knowledge, only a little practice and a visit of a “Muse”. One of the problems that beginners face when entering the world of adobe illustrator is proper positioning of the vector control points. For starters, my advice is to make a circle (use Elipse tool+Shift combination). 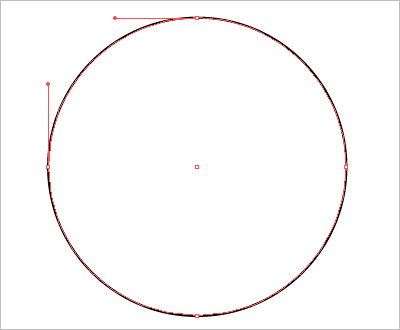 Select the circle using “Direct SelectionTool”, four basic points and vector controllers (red extension lines). 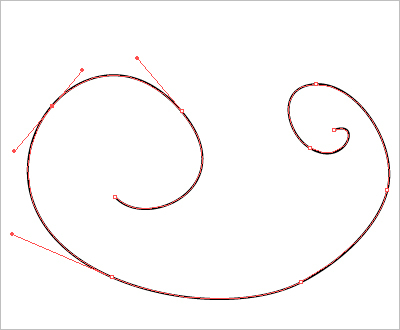 Draw using “Pencil tool” and practice making various swirls. This is just for practice, we are not making any swirls there, but it is important to play with handles here and try to create some shape for the practice purposes. 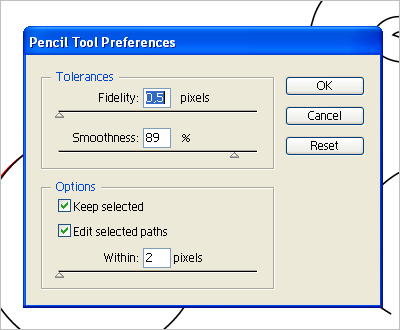 Play with “Pencil Tool Preferences”, see how they affect the drawing. 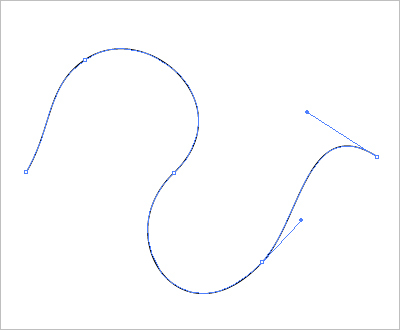 Then make it’s inner (or outer) outline following the existing line. Connect outer and inner line in order to get closed shape: select two starting points and to Object -> Path -> Join. Do the same with two ending points. 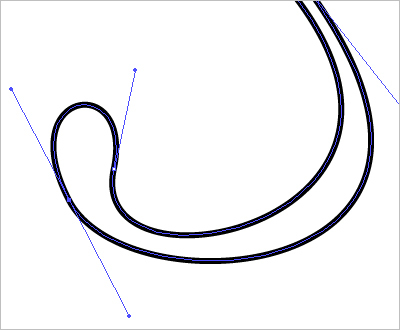 Reduce or add points using “Pen Tool” in order to fine tune the swirl shape. This is just a fabulous tutorial. Thank you so very much for sharing. hey! thanks so much! =) you are so nice and helpful. Thank you very much for your step by step instructions. You will never know how much you have been a blessing to me. Thank you for the wonderful and a easy trick. But love your tutorial! I guess I’m really just going to have to learn this! great tutorial—thanks for the video! OMG! You wanna know something?! You are the best, I never even knew the pencil tool preference menu existed!! Thank you so much! This tutorial was really helpful! One of the best ones out there.